This tree has some of the best foliage of any Maple and incredible bark. 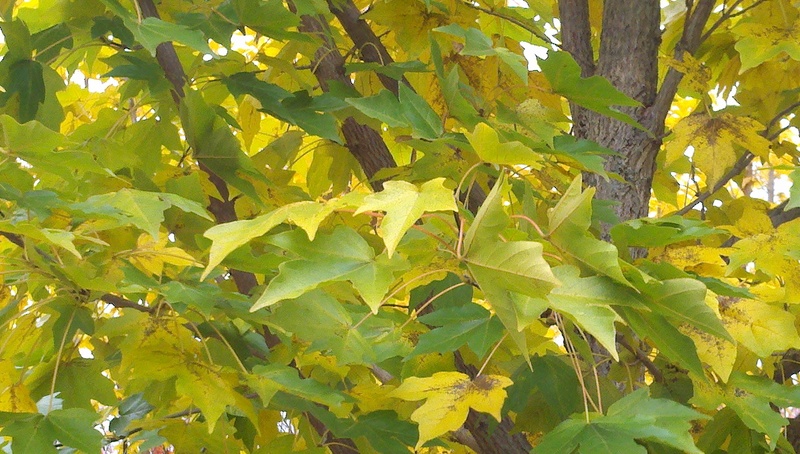 The smaller leaf is a bright glossy green into the Fall and remains very clean and unblemished until fall coloration begins. Some of the leaves start their golden hues while other leaves remain green providing interesting contrast before the entire tree becomes a glorious yellow. The tan bark also provides interest with its rough texture from an early age, almost like Ginkgo bark. Try State Street Maple as a medium (35’-40’) tree with a lot going for it. More information about Acer Miyabei "State Street"